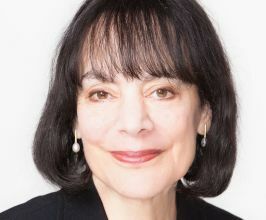 Carol S. Dweck, Ph.D., is one of the world's leading researchers in the field of motivation and is the Lewis and Virginia Eaton Professor of Psychology at Stanford. Her research focuses on why people succeed and how to foster their success. More specifically, her work has highlighted the critical role of mindsets in business, sports, and education, and for self-regulation and persistence on difficult tasks in general. In addition, she has shown how praise for ability or talent can undermine motivation and learning. She has also held professorships at Columbia and Harvard Universities, has lectured to business, sports, and education groups all over the world, has won numerous awards, and has been elected to the American Academy of Arts and Sciences. Her work has been prominently featured in such publications as The New Yorker, Time, Newsweek, The New York Times, The Wall Street Journal, The Washington Post and she has appeared on Today, Good Morning America, 20/20, and NPR's Morning Edition. Her book Mindset has been widely acclaimed and is being translated into 17 languages. All American Speakers is a speakers bureau and booking agency providing information on booking Carol Dweck for speaking engagements, personal appearances and corporate events. Contact an All American Speakers Bureau booking agent for more information on Carol Dweck speaking fees, availability, speech topics and cost to hire for your next event. Please Note: All American Speakers Bureau acts only as an entertainment broker/producer for corporate functions, private engagements and special events. All American Speakers Bureau does not claim or represent itself as the exclusive agent or management of Carol Dweck or any artist on this website. Speaker fees are determined based on a number of factors and may change without notice. Fees often vary based on a number of factors including: speakers schedule, supply and demand, length of presentation, location of event and other factors. Fee Ranges listed on this website are intended to serve only as a guideline. In some cases, the actual price quote may be above or below the stated range.